Our goal at Gainesville Lawnscaping is to ensure that your property remains visibly attractive throughout the year. We offer pressuring washing services that can make a difference is pressure washing. 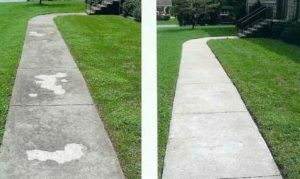 Pressure washing your home or office, driveways, parking lots, and sidewalks will allow your home or business to “pop” with cleanliness! Give us a call at (352) 505-3411 to schedule a free Gainesville, FL pressure-washing estimate.